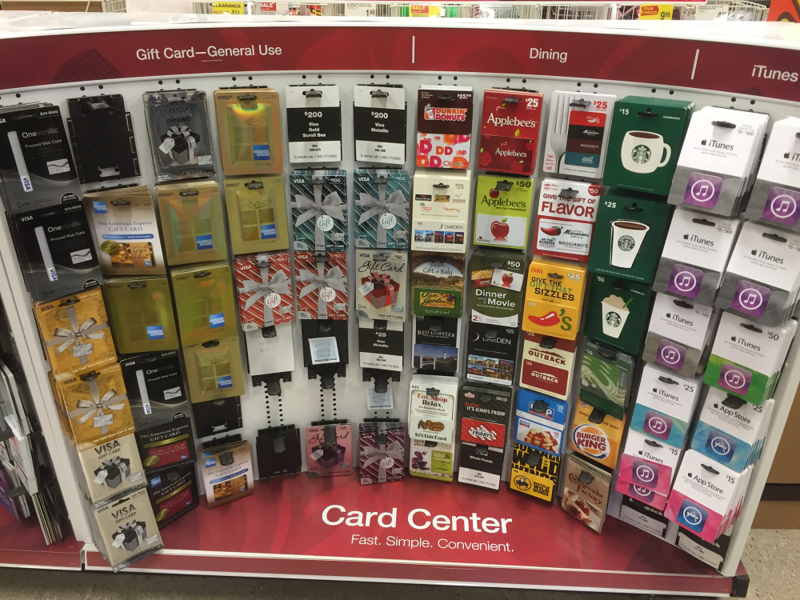 Staples is back at it again with another gift card promo, buying $300 or more in prepaid Mastercard or Visa gift cards will net you a $15 Visa gift card back. This limited time deal is great for those with credit cards that give extra points back on office supply stores. 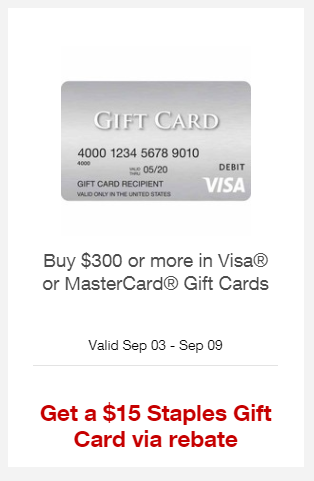 We’re a little unsure about if you’ll actually be getting a $15 Visa gift card or a $15 Staples gift card as the weekly circulars show you’ll be getting a Staples gift card while the rebate form names it as a Visa gift card. Either way if you play your cards right you’re getting an extra $15 of value. This promotion lasts from September 3rd [today] to September 9th [Saturday]. You’ll have 60 days from September 9th to get your rebate form in which can be found here and searching for “Blackhawk Network” as the product manufacturer.